There is a possibility that flat pattern inside wave  might have been already completed. On the minor wave level the price is forming an initial impulse in wave (1). In the near term, we can expect the pair to continue falling down in wave . 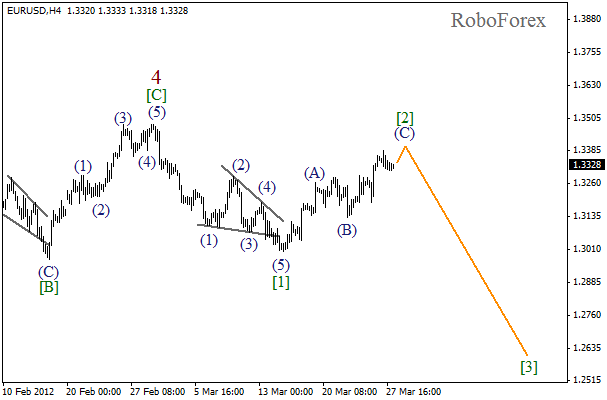 As we can see at the H1 chart, wave (C) was completed just several pips shy to reach the maximum of wave (A). It looks like the price has already started forming a descending impulse in wave 1. 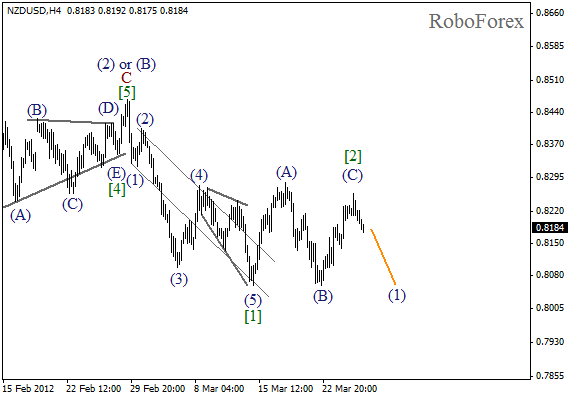 If this wave has a clear five wave structure, we will consider starting selling New Zealand Dollar. 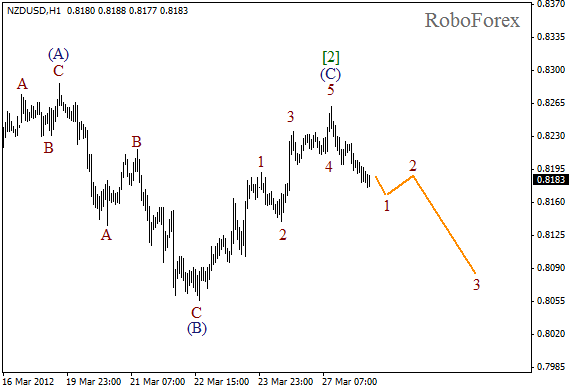 Euro continues the formation of wave (C) of . It looks like the local correction is taking place, and after it is finished, we can expect one more ascending wave, the final one. After that we can expect the price to make a reverse and start falling down while forming wave . Wave (C) is taking the form of diagonal triangle pattern. On the minor wave level the price is completing the fourth wave. 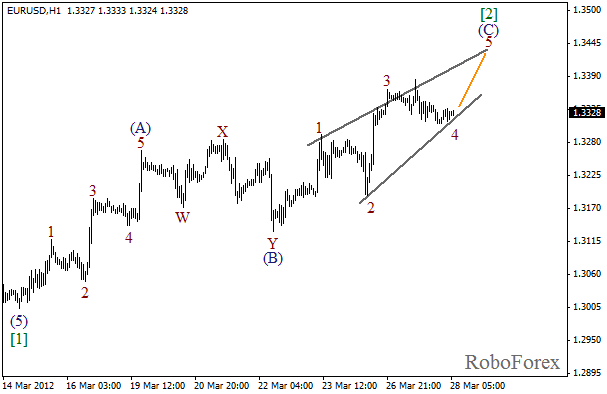 We can expect the pair to start a short-term ascending movement in wave 5 of (C) on Wednesday.